Open to the public: Sunday 2:00 PM - 4:00 PM, and by appointment. The first floor of the Drake House Museum is wheelchair accessible; however, the second floor is not. Located on the first floor are three Colonial era rooms, the parlor and the Harberger Library. The first floor houses a substantial part of the collection. Special exhibits are displayed in the second floor ballroom. The bathroom is not handicap accessible. Food and drinks, including water bottles, are not permitted in the Drake House Museum. Exception is made for events sponsored by the Historical Society, which will offer refreshments. No flash, tripods, or camera extension poles are permitted. The Historical Society of Plainfield reserves the right to withhold and/or withdraw permission to photograph or videotape anywhere in the Drake House Museum. This includes photos taken by cell phones and smart phones. 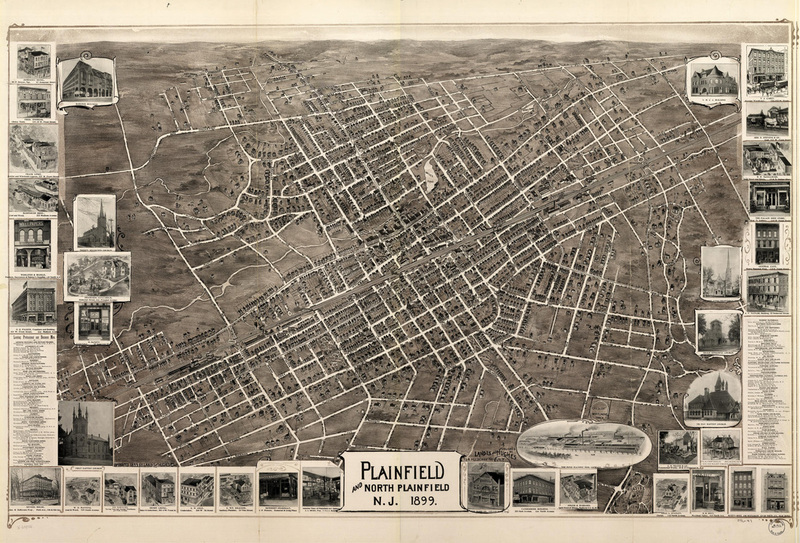 No photographs or videotapes may be reproduced, distributed, or sold without permission from the Historical Society of Plainfield. From downtown Plainfield: Go west on Front Street, also known as State Highway #28. Drake House is located at the intersection of Front Street and Plainfield Avenue. From Route 22 (Westbound): As you approach the West End Avenue exit, make a jug handle turn to cross the highway at West End Avenue in North Plainfield. Go south on West End Avenue and proceed through the traffic light at Green Brook Road. At the next traffic light, turn left on Front Street. Proceed to the first traffic light at Plainfield Avenue. Drake House is on your left hand side. New Jersey Transit Raritan Valley line train to Plainfield Station. Walk north along Park Avenue for 2 blocks to Front Street. Make a left onto Front Street and west to Plainfield Avenue. New Jersey Transit buses #113, 114, and 59 serve the Plainfield area.